Make a great first impression with the outstanding decorating and painting services from our company. With all work carried out to a high standard, you can also save money by extending your property. Achieve results that are designed to last with exceptional tiling work. Backed by more than 20 years of experience, you can rely on us for top-quality ceramic tiling suitable for floors and walls. Turn your house into a home with the help of our multi-skilled team of fully trained, reliable workmen. Taking care of all aspects of your property, we specialise in a variety of different conversions. Give your property a complete overhaul with full guidance from R & S Construction (UK) Ltd. From minor maintenance tasks to long-term construction builds, we take on any type of building project. Call 01235 770367 for a free quote on your specific building project. Your home or business deserves only the best. 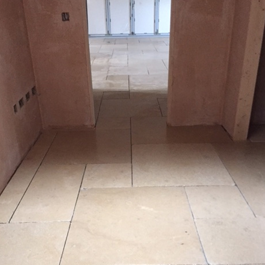 As domestic and commercial builders in Wantage, Oxfordshire, we offer a variety of services ranging from tiling and painting to decorating and garage conversions as part of our vast selection of construction services. Committed to the utmost in customer service, our building company takes great pride in building solid client relations, allowing you to put your full trust in the people working on your property. The fully qualified and time-served tradesmen from our building company are friendly and helpful when discussing your specific needs in great depth, before offering you a free quotation on any project. Make sure you browse through our gallery to see the evidence of our high standards of work. Contact our building company in Wantage, Oxfordshire, for construction services carried out to the highest standard.